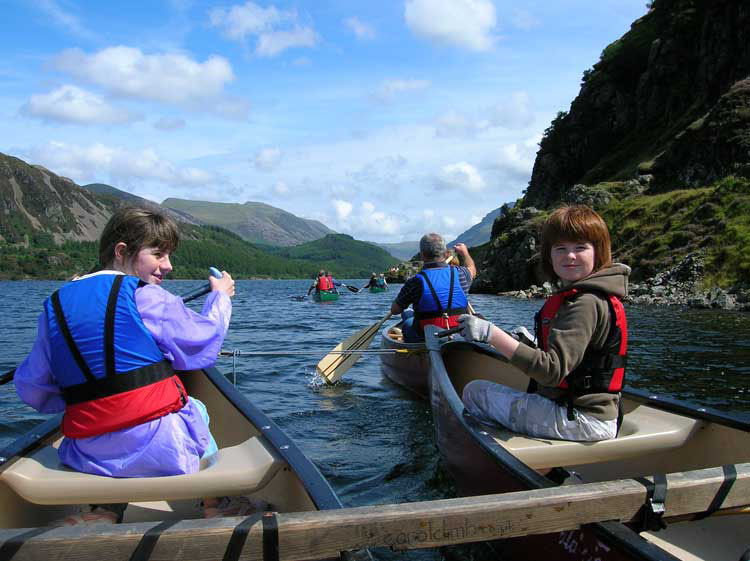 With a mixture of single canadian canoes and a pair of rafted canadians we explore the beauty and history of the Ennerdale Valley. Contact us to run a trip for you or your group. 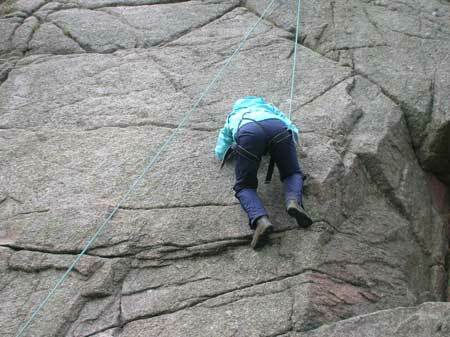 These trips are run by Richard and Carol "carolclimb" for the 'Wild Ennerdale' partnership. 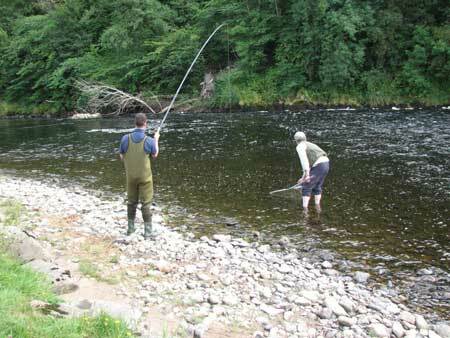 August means fishing on the River Spey at Wester Elchies. 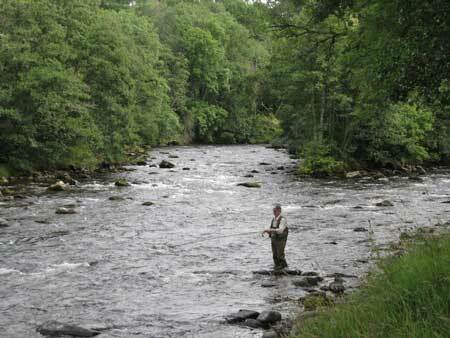 Monday lunch time arrived without a fish (salmon) being caught between the six rods fishing the beat. 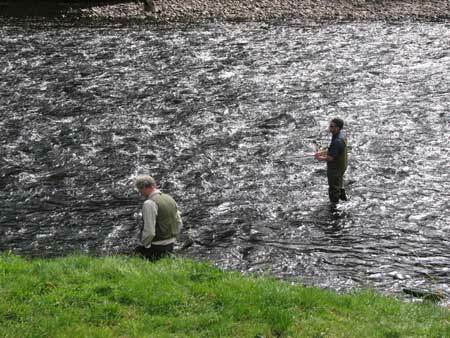 Having lent him my waders, I rolled up my trousers to net his fish. A cracking silver grilse about 5lbs. 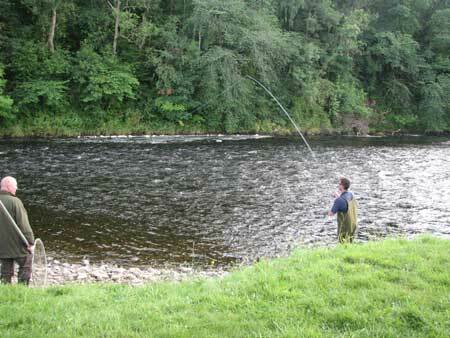 Having let Carol fish down the run, again James hooks a fish behind her. 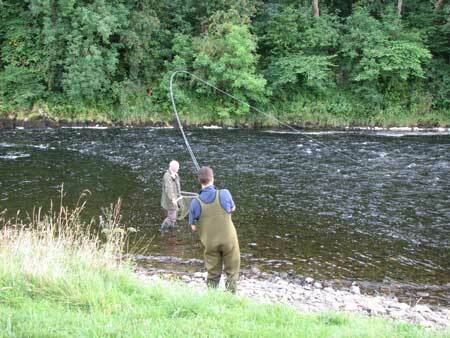 Gentle side pressure as the fish sets off for the fast water on the otherside having seen Sam with the net. 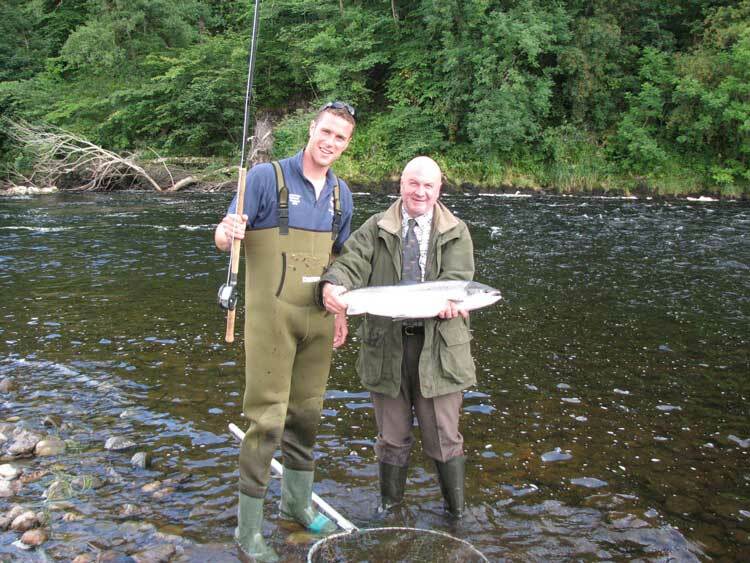 James with Sam Bremner, with the fish safely netted, this beautiful fresh hen fish was returned unharmed hopefully to go on and spawn further up the river. 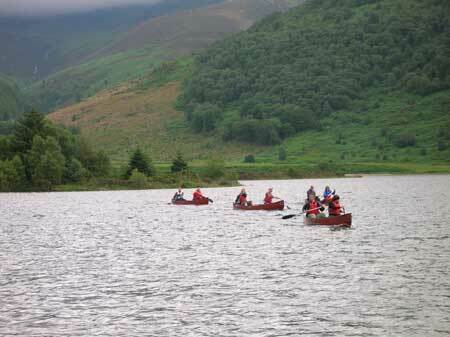 Back in Ennerdale again we ran a couple of canoe days for the' wildennerdale' project. Rafts disembled people enjoy trying their hands in single boats. 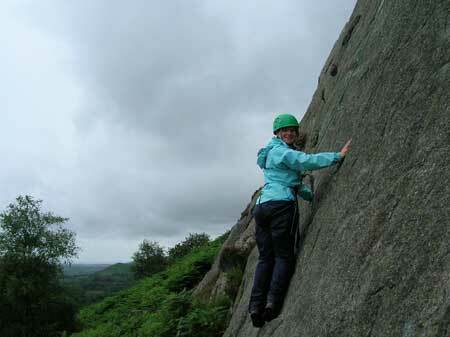 This slab seems to have no holds but Eskdale granite has lots to offer even on the wettest days. Careful footwork on small holds allows the climber to reach the diagonal crack high above. 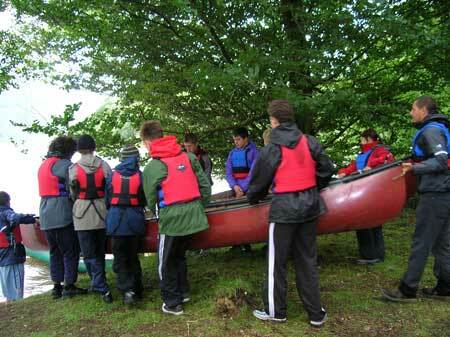 Altringham Boys Brigade working on their knots to assemble the canoe rafts in a team build exercise. 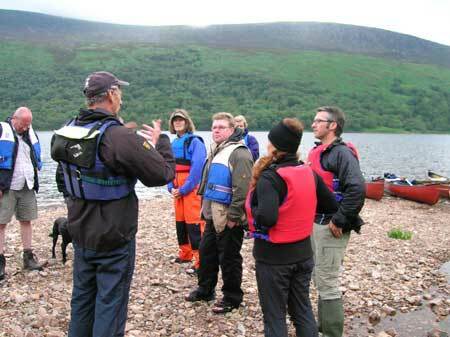 Knots sorted, the team work together to launch their raft to explore Ennerdale Water.